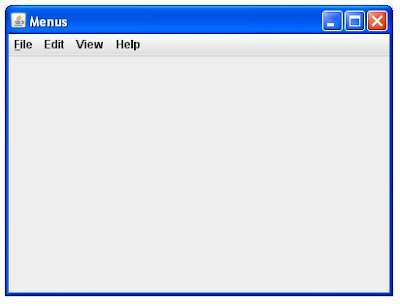 JMenu is the standard menu that may have various JMenuItems. JMunu are placed into JMenuBar. and JMenuBar is added to the JFrame using setMenuBar method. you can add ActionListener to JMenuItem to deal with events.